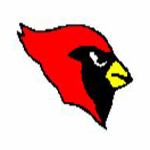 Big Rapids High School is one of the best school in the area. They have outstanding academic programs and offer a multitude of activities for students to be a part of. Damon Anguino (25 points, 5 steals), Drew Humm (14 points) and Hazen Latoski (13 points, 14 rebounds) had big games for Alma. Jackson Lund’s 21 points led the Cardinals. Warriors' Sadie Metcalf throws a shutout in game one.